Modesto's full service supplier of quality Lumber, Windows & Doors, Building Materials & Hardware. 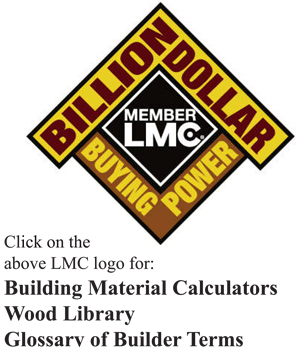 American Lumber Company is an LMC Dealer. LMC Dealers care about their community. They raise their families, live & work in the market they serve. They are dedicated to supporting a better quality of life for their emplyees, neighbors & fellow businesses. Three times as much money stays in the local economy when you buy goods & services from your local independent lumber & building material dealer. When you do business with American Lumber Company you are supporting your community with a strong economic impact - thank you. The next time you are at American Lumber Company, we invite you to walk through The Store at American Lumber Company and up the stairs to our Window & Door Showroom. Our latest edition is the Marvin Multi-Slide Glass Doors. (video of product on our web window product page) click on link to the right (windows & doors). Remnants, of all sorts of wood, are available at good prices for those who have the time to look through our remnant stack. Ideal for the one of a kind project. The finest people in the world walk through our doors - our customers. We hope we make you look good and make your building projects zing. It is a great pleasure to be your building material supplier of choice. Thank you! How do Savvy Builders, Quality Remodelers & serious DIYers keep their competitive edge? They buy through an LMC Dealer. American Lumber buys through its cooperative, (LMC) with the billion dollar buying power to get the best prices for you, the customer. We are a vibrant business, in the heart of Modesto California, offering the best materials for the building industry. Our formula for success, for over 90 years, has been to serve our customers with efficiency and charm. We keep up to date on industry trends and share our expertise with local building contractors, architects, engineers, maintenance crews and DIY guys & gals. Our staff are factory trained by our leading product manufacturers. We are purchasing experts, in a retail business, with building industry knowledge and products. We are a lumber yard, with a fleet of trucks, a wood shop mill, a wood door shop, a builders' supply store, with a window & door showroom, all on one and a half blocks, on 9th Street, across from the Double Tree Convention Centre. American Lumber is vested in our local community, supporting Modesto, Turlock, Merced, Oakdale, Manteca, four counties: Stanislaus, Merced, Tuolumne & San Joaquin and the Great San Joaquine Central Valley. So we are an old fashioned lumber yard with a modern vibe, here for those who have building projects, who want it done right first time. 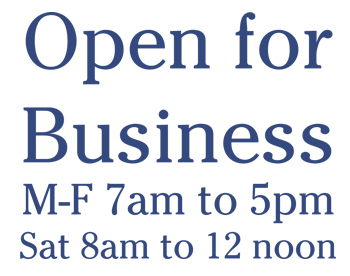 Come in and see us. Keep up to date on keeping your home energy efficient. 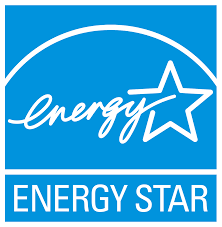 Click on the Energy Star logo for more information. Rebates & suggestions for home owners & commercial property owners from Modesto's local utility company. Check out your hometown utility provider for rebates.